We LOVE Halloween! Clowns have always been creepy to me and we wanted to bring it to the extreme. 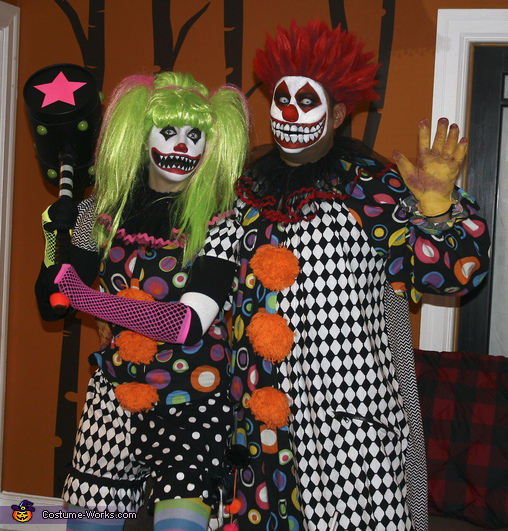 My husband and I created our costumes and face paint. I sewed each costume: his jumpsuit, my bloomers, shirt and our neck ruffles. We created the mallet out of a Nerf sword and a big Play-Doh canister. We painted our own faces, taking 2-3 hrs for each.